Recently a Celebrity cruise ship was just 5 meters away from hitting a small dinghy boat with four people onboard. An important lesson in not sailing near the path of large ships, especially in port. 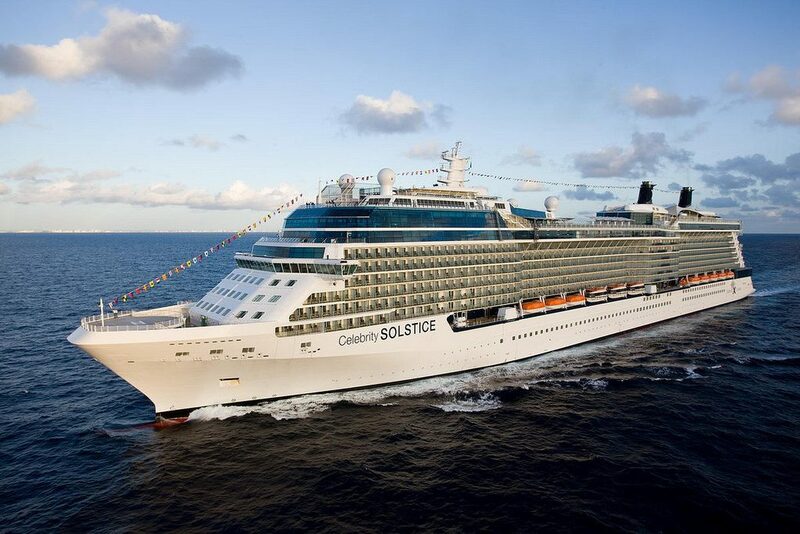 Celebrity Solstice which is operated by Celebrity Cruises had a near miss recently at the Port of Tauranga which is located New Zealand’s northeast coast. A small dinghy boat had run out of fuel and was heading straight into the path of the 122,000 gross ton Celebrity ship. Thankfully the captain managed to react quickly and turn toward the port side. Keep clear 50 metres to each side of a ship and 500 metres ahead. That’s two container ship widths to the side and three and a half rugby fields in front. Don’t let your next trip be your last. Two other local boats came to the rescue after spotting the dinghy too close to the large cruise ship. In response to the video, one person posted that the man operating the troubled boat had lost his oars in the panic of hitting the cruise ship. Let’s just say the four people who were on that boat were very lucky indeed. If the Celebrity Solstice had hit them we could be writing a totally different kind of news post. The dinghy boat was finally towed back and no doubt it will be trip to remember for all those involved. The Celebrity cruise ship is based out of Sydney, Australia and has a guest capacity of over 2,800 at double occupancy. This isn’t the first time a large cruise ship has had a close call. Last year another Celebrity ship drifted too near the banks of a nearby house at Port Everglades in Florida. Also last year a Carnival cruise ship was just feet away from striking two jet skiers who had fallen off after getting to close to the vessel at Port Canaveral.